Breakthrough innovations need not be terribly expensive or time consuming. The scientific world is full of examples where seemingly radical innovations emerged from technologies in use in some other area. The same applies to communication for businesses. 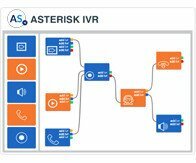 Asterisk call center development even embodies artificial intelligence putting it in a class apart. Its implementation gives established call centers an ability to leap ahead while hosted solutions let anyone start state of art call centers with nil upfront investment in the call center solution.  So what does a contact center solution have to do with businesses? This is where peripheral knowledge and sideways movement leads to innovative adaptation. Businesses need something beyond the IP-PBX for communication. Transplanting the CC software into business communication brings along a host of benefits. – Businesses need to route incoming calls to the right person to reduce caller frustration and wait times. ACD gets it done. – Outbound calling can be a minor headache—predictive dialers handle it beautifully. – Direct inward dialing has its benefit in the business environment too. – Progressive dialers and call script can come in useful should businesses plan and implement call campaigns from time to time. – WebRTC and mobility along with conferencing and barge-in/whispering permit better communications and collaboration. Productivity and efficiency receive a boost. Customers are delighted. All it needs is a perspective shift to see how a technology in a specific operation can be equally useful in general business. 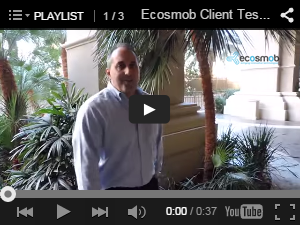 – Add to that omnichannel unified communications and the communication mosaic is complete. Customers these days use any channel to communicate. A single dashboard style interface tied to backend CRM database makes switching lanes an effortless task. Now take all these and package them in a hosted solution for which you pay as you go along. Ramp it up or scale it down. Flexibility comes at greatly affordable price. 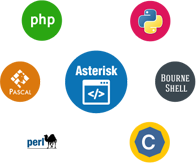 Asterisk Service call center development. A circle can be an ellipse depending on from where you look at it. So, in essence, the call center solution can be slightly modified to align it with specific needs of business operations and it works fine without burning a hole in your pocket. There is no need to worry about communication needs and about getting a solution developed from the ground up when one is staring you right in the face. 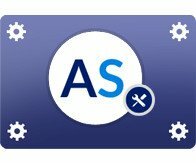 Just repurpose it and that is something Asterisk service does it for you. Asterisk Service innovation thinking helps you save a bundle and earn bundles when you make the switch.